Control INI and profile files for the CH Pro Throttle and F16 Combat Stick. Self extracting Zip file, download and run to extract the files. Control config file for the Logitech Wingman Rumblepad game pad. It uses the right hand analogue stick for X and Y lateral thrusters. Roll control is shifted to V & B on keyboard or Alt + X-axis on 2nd stick. All other controls are the same as the default configuration. Control config file for the Sidewinder joystick (8 buttons plus throttle). This is a basic mouse flight control system. Please note that mouse flight controls are not optimised, and are not officially supported by the game. Control config for Saitek Cyborg 3D Digital. Control config for the saitek dash card (with cockpit graphics) and the X36 gameport combo. A Saitek X36 Profile for use with the Saitek Gaming Extensions. Click on the title to see the README. Click on the title to see full details. Control profile for Saitek X36F, includes document listing controls. Self extracting Zip file, download and run to extract the files. A config for the Saitek X52. Note that Saitek profile (...a .pr0 file, hideous pun by Saitek) is for SST. You might need to download that from the Saitek website. Another profile for the Saitek X52. Note from Maahes: "I've re-written my config so as not to have to use the SST profile as well, should just be direct button mappings." Controller profile for the Saitek X55 by squishy. A detailed description can be found in our forums. Here's a config file for the Thrustmaster TopGun Afterburner II. Click on the title to see more details. 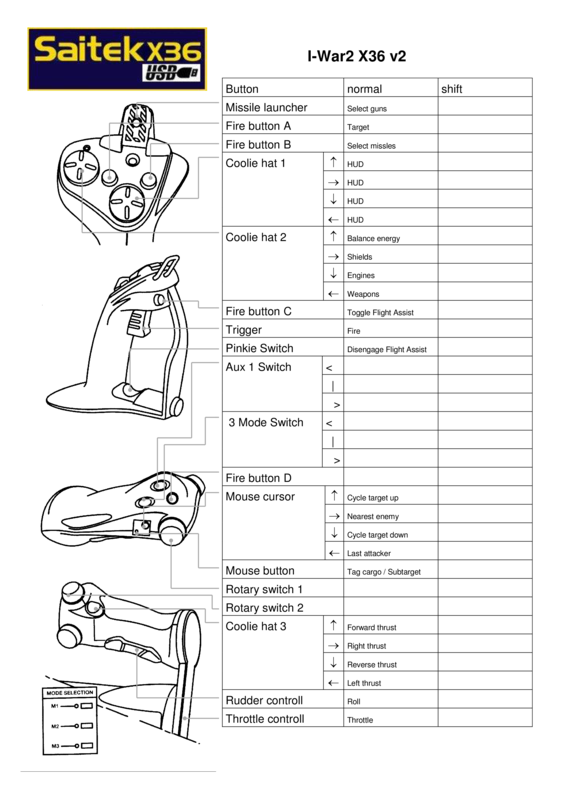 This is a profile for the Xbox 1 (Classic) controllers. It should work with both versions - the small and the big one. For use with the XBCD drivers - set them to Xbox 360 Emu mode in the config utility and you're good to go. 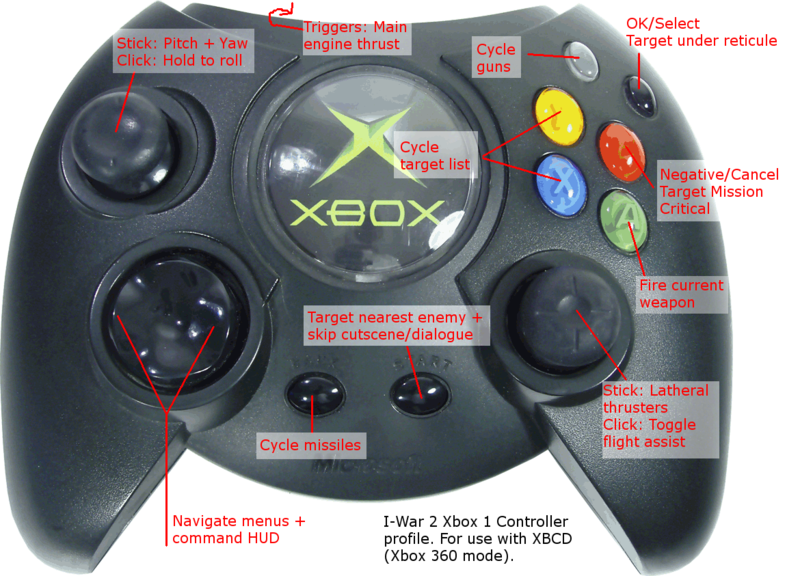 A different Xbox 360 controller profile by Mike (posfan12). Usage: Drop it on your I-War 2Configs directory, then select it from the available controller profiles in-game.